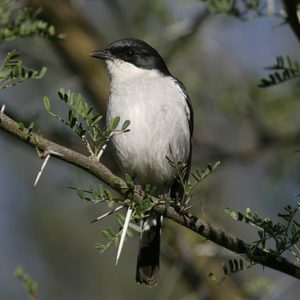 Adult male is a pied tree perching but ground feeding flycatcher. Female dark grey rather than black above. Juvenile dark brown. Conspicuous and confiding. Hunts insects in flight. mainly insects including ants, small fruits. 17 to 20 cm Resident mainly insects including ants, small fruits.